Young Professionals Hosting Free Pictures with Santa — Lodi Live! On the first weekend of December the Young Professionals of Lodi (YPL) will hold their annual free pictures with Santa at the Woolworth building. Everything at the event is free. Two professional photographers donate their time for the pictures and this year those photographers are Kelly Marie Photography and KCM photography. After your kiddo takes their picture with Santa, you get a special link to the website where you can download the photos. 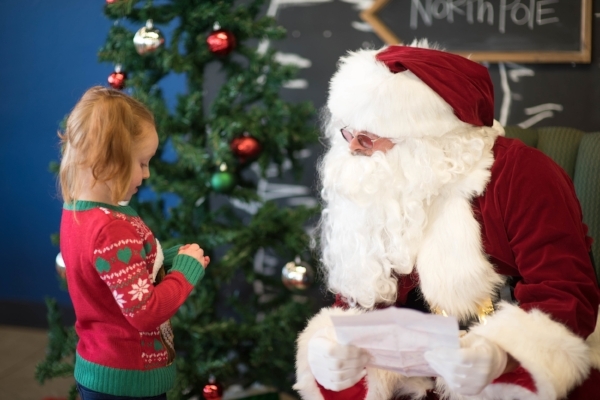 The YPL will also host their annual “Write a Letter to Santa” table and are hoping to select at least 2 local families for Santa to deliver presents to based off their wishlists. This fun day is made possible thanks to the YPL’s Casino Night fundraiser, which provides all the funds to allow the YPL to host the crafts and buy the presents for the families.